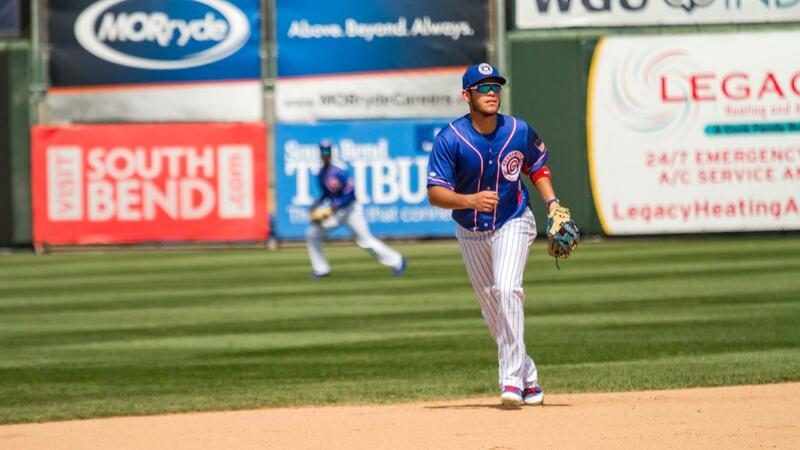 South Bend, IN: It was a total team effort from Four Winds Field on Wednesday night as the South Bend Cubs opened their final regular season home series with an 8-1 win over the Bowling Green Hot Rods. With solid pitching, defense, and offense, the Cubs put together one of their most complete games of 2018. It all started with the southpaw starter Brendon Little. In one of his best outings in the 2018 season, Little fired five scoreless innings and only allowed two hits. The lefty struck out five batters and also earned his fifth win of the season. Out of the bullpen, Brendan King and Jake Steffens kept the large lead in tact for the Cubs with four innings of combined relief. Between the two, they only allowed a run. King punched out five hitters himself. At the plate, the Cubs sprang out of the gates quickly with former President Jimmy Carter and Mrs. Carter watching from the Owner's Suite behind home plate. The Carter's were in attendance as Habitat Night took place at Four Winds Field. With five combined runs in the 1st and 2nd innings, the Cubs took a commanding 5-0 lead. Rafael Narea drove in three of his four RBI in the 1st with a bases clearing double down the right field line. Jose Gutierrez brought in two RBI. First baseman Austin Upshaw went 2/4 with two doubles and a RBI as well. Additionally, Chris Singleton picked up two more hits and he is hitting over .450 in his past five games. Delvin Zinn extended his hitting streak to 12 games with a 2/4 night and a run scored. With the win, the Cubs stay in playoff contention in the Eastern Division. They remain just 2.5 games back of the wild card spot held by Fort Wayne. South Bend will look for the series win tomorrow night with first pitch coming at 7:05 PM. Chicago Cubs left hander Drew Smyly is expected to make a rehab appearance with South Bend tomorrow. Tickets are available at SouthBendCubs.com.